A striking tall boot with true Southwestern flair, the 17" Esme boot from our Hero Collection is an eye-catching silhouette that's refreshingly light in weight. The Dark Brown leather foot teams up with a Sand sport mesh shaft, for a lightweight, breathable feel. 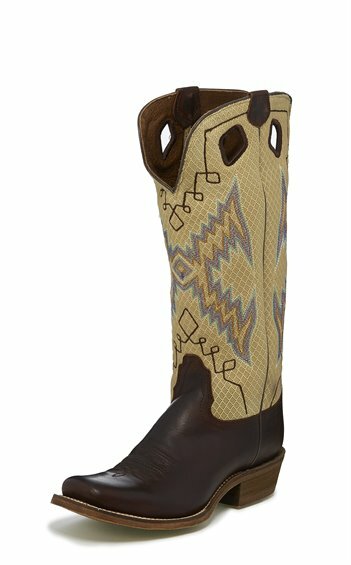 An extended half moon toe and a Buckaroo heel with spur ledge top off this boot with signature flair.